So we need a new washing machine. Ours has progressively got worryingly loud over the past few months. You know, the sort of loud that you have to arrange phone calls around your wash cycle because you simply can’t hear to talk. The sort of loud that the people on the other end of the phone, ask if we live near an airfield. I always swore that if my washer started getting loud after the last incident, I’d replace it straightaway. *Cough* 6 months is straightaway isn’t it? Mr C: (approaching less than enthusiastic shop assistant) Hell, we would like to buy a washing machine. Shop Assistant (SA: Well, yeah (only narrowly missing a DUH!) Turns to me – because obviously only women are interested in washing. Me: I’d like one with a fairly short wash cycle please – Our current one takes 1 hour 42 minutes. Me: Ok, lets have a look what you have. Me: I wasn’t quite thinking of spending that much but thanks. SA: Oh yeah, there’s one for £330. Me: How long is the wash? SA: (Huge sigh, takes manual out of machine) 3 hours. ME: Erm, I don’t really need that – I just want it to wash my clothes when I’m in. SA: You need to embrace technology. ME: Do you do free delivery? Me: When would it be delivered please? ME: I have to wait in all day? I need to collect the children at least. SA: Yeah, if you are not there in the driver’s 7 minute window he will go. And do you know what the really irritating thing is? 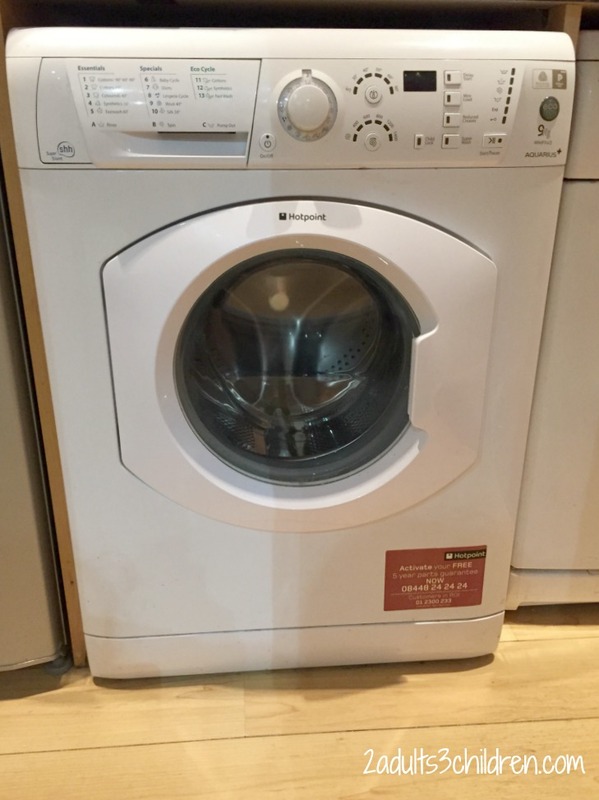 Even with the sarcastic treatment, the fact that the product takes 3 times longer to wash than I wanted, the fact that I will have to rearrange a whole day … WE STILL BOUGHT THE FLIPPING WASHING MACHINE!! I thought I was supposed to be assertive? Why am I so useless at shopping? Hehe this made me chuckle a bit. That SA was persistent wasn’t she? 🙂 but congrats on your new machine!! Thanks – I’m sure we’ll be very happy together! That is beyond frustrating. I’m a huge fan of Beko as they have great washers (fridges, freezers, fridge freezers too) which look lovely and are very competitively priced. I’m thinking of cancelling the order and trying somewhere else. I’m far too irritated to accept a washer I don’t want with that poor customer service. Will check out Beko too! Aw, what a pain! I hate SA like that, where’s the need! haha.. oh no! I’ve bought things when I’ve been annoyed with the treatment/service. I think it comes down to it’s such a pain to go shopping for things like that that it’s worth quite a bit to not have to do it again! If it makes you feel any better I have had a hotpoint for five years and I’ve been happy with it! I actually feel really cross on your behalf. I hate buying white goods, bought a new fridge freezer over Christmas but that was fairly pain free.